Written for Daily Hive by Crystal, a budtender and assistant quality control manager at Air Reserve Collection. Sativa and Indica are the two most commonly used cannabis plants species to be used for cannabis cultivation, and we are increasingly using hybridized versions of both today. 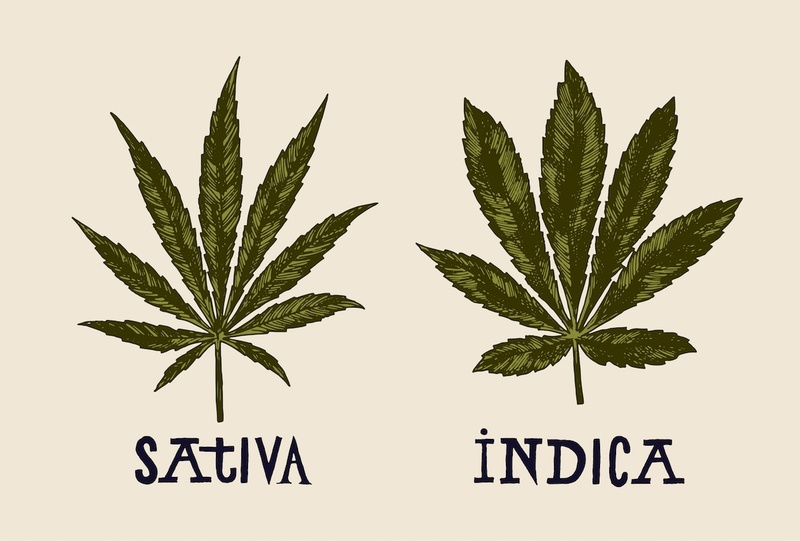 There are many differences between Sativa and Indica, from their appearance and structure to the medicinal benefits of both plants. One must remember, that scientifically speaking, cannabis species have not been categorized into just these two varieties. Some people believe as many as five varieties of cannabis species to exist. The third most commonly accepted strain of cannabis is a short flowering plant named ruderalis found in Eastern Europe. But for now, we’ll only be discussing Sativa and Indica. The terms Sativa and Indica were applied to these strains by explorers in the 18th century and used to differentiate between the taller Sativa plants used for fibre and seeds, and the shorter plants called Indica used for fibre, seeds, and to manufacture hashish. One of the biggest differences between the two are their physical differences. The Sativa is usually found in regions closer to the equator (such as Malawi) and is a taller bushier plant that has long thin leaves, airy buds, and much longer flowering times than both ruderalis and Indica. Indica is a species of cannabis that is stout and shorter than Sativa, while also featuring broader leaves and much shorter flowering times. It was originally found high up in the Kush Mountain Range bordering Afghanistan and Pakistan, which is said to be very close to the original source of cannabis in the world. Since its discovery, it has been shipped and distributed to every continent in the world. Sativa is generally regarded to have an energetic effect when consumed by smoking, while Indica plants have a more sedative effect. Most cannabis seed banks online have thousands of different hybrid varieties of cannabis seeds available, and they are categorized into Sativa, Indica, hybrid, and auto seed categories. This naming convention is a way to distinguish the growing structure and lineage of the cannabis plant (e.g. 80% Sativa, 20% Indica). A modern way of looking at different species of cannabis is looking at the cannabinoid profiles of plants. Cannabis is made up of a hundred different compounds called cannabinoids, flavanoids, terpenes, and terpenoids. These compounds provide different therapeutic and aromatic effects when made available to us through smoking (combustion), vaporizing, digesting, or absorbing cannabis. Our internal system that manages and regulates or bodily functions such as mood, appetite, and coordination is known as the endocannabinoid system (ECS) and binds directly to these cannabinoid compounds through two sets of receptors, C1 and CB2. Both Indica and Sativa contain many other organic compounds that have other important nutritional and industrial properties. Indica and Sativa usually contain the primary cannabinoids THC and CBD in varying volumes. Scientists today are researching better ways to identify cannabis through its cannabinoid makeup allowing a better understanding of the cannabis plant. There is still a lot more cannabis research to do to confirm the cannabis genealogy and then to finally classify cannabis into its various species (Indica and Sativa included), but with legalization on the horizon, we will see a lot more scientific research about this topic in weeks to come. Crystal is a budtender and assistant quality control manager at Air Reserve Collection. She loves her fat cat and her scratch & win tickets. The way to her heart is to buy a box of freezies, to earn her heart forever is to find a way to incorporate cannabis into the freezie. Views expressed in this article do not necessarily reflect the opinion of Daily Hive. Responsibility for the information and views set out in this article lies entirely with the author.